Keep your heating and cooling systems in their top working order with comprehensive options for HVAC annual maintenance in Downers Grove. EconoTemp, Inc., is a full service, family-owned professional HVAC company providing premium quality heating and cooling services to keep your residential or commercial property cool in the summer and warm in the winter. Call 630-963-8080 now to speak to a knowledgeable EconoTemp representative about the comprehensive service options for HVAC annual maintenance in Downers Grove. At EconoTemp, we have a talented and dedicated staff who work hard to ensure your comfort and satisfaction. 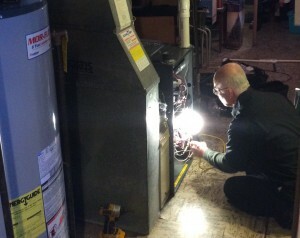 Our HVAC annual maintenance programs provide reliable residential and commercial heating and cooling services. We offer several maintenance service plans to fit your needs and budget. Guaranteed appointments within 24 hours: In extreme weather conditions, sometimes even appointments guaranteed within 24 hours are not soon enough. Our enhanced plans also offer same-day priority service. Scheduled reminders for annual cleanings: You will receive a phone call or email reminder before the weather changes and when cleanings are needed. Discount on repairs: Each of our maintenance programs offer a discount on HVAC repairs. Warranty on installed parts: Receive an additional warranty on labor above our one-year manufacturer’s warranty on all installed electrical parts. Two professional cleanings per year: Annual furnace and condensing unit cleanings maximize equipment efficiency, prolong the life of replacement parts and improve air quality. Routine inspections also provide an opportunity to detect any safety issues before the middle of a season. Call 630-963-8080 now to speak to a knowledgeable EconoTemp representative about the comprehensive options for HVAC services in Downers Grove. Please use the contact form below, and upon submission, a representative of EconoTemp, Inc. will contact you shortly after.